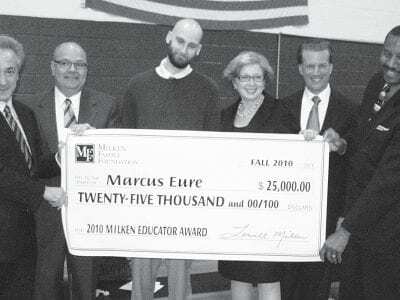 Marcus Eure is surrounded by Brewster School officials and state educational leaders with his check. 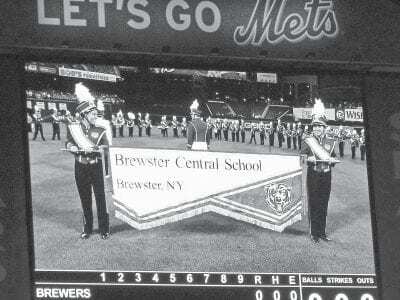 Brewster High School teacher Marcus Eure has quite a future! The 30-year-old tenth grade Advanced Placement English, AP Language, and media studie… Please login below or purchase a subscription to the Putnam County Courier to access this content. While the ladies enjoy an evening of fun by shopping from a variety of vendors for the holidays, next month’s 4th annual “Girls Nite Out” fundraiser will directly benefit the Brewster H.S. Teen Safe Driving Program. Tickets for … Please login below or purchase a subscription to the Putnam County Courier to access this content. Josh Tetteh, Brendan Lennon, and Shannon Farrell are “on patrol” at the John F. Kennedy Elementary School in Brewster. Save t heT hird an d fourth gr ade rs at the John F. Kennedy Elementary School in Brewster take their jobs seriously. … Please login below or purchase a subscription to the Putnam County Courier to access this content. 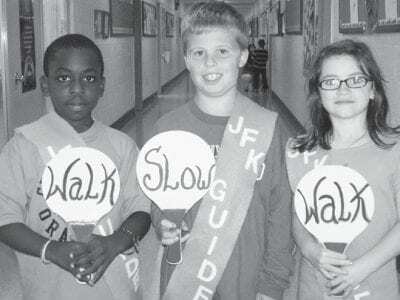 A large crowd is expected on the Hudson Valley Cerebral Palsy Association campus in Southeast Sunday for Putnam’s 4th annual Walk for Opportunity. The festivities begin at 10am with a breakfast and warm-up followed by a three mile walk at 11 … Please login below or purchase a subscription to the Putnam County Courier to access this content. To paraphrase a famous American author, James Michener, in his book Hawaii, “I came to do good, and I did well.” I found a real “bonanza” at the Brewster Public Library Book Sale in May. For $5.00 I bought a shopping bag … Please login below or purchase a subscription to the Putnam County Courier to access this content. The Veterans of Foreign Wars Brewster Post 672 is offering local students the chance to compete to win money for college through two national VFW scholarship programs. Patriots Pen is a written essay contest for 6th, 7th and 8th graders where stu… Please login below or purchase a subscription to the Putnam County Courier to access this content. Carmel teachers pick up debris along Gleneida Avenue near Fowler Avenue Saturday. 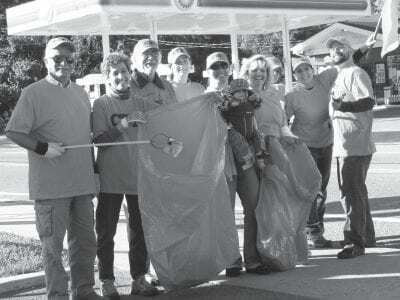 Members of the Carmel Teachers Association were up early Saturday and, with the assistance of a group of students, cleaned the hamlet of Carmel from unsightly trash. … Please login below or purchase a subscription to the Putnam County Courier to access this content. Ron McCarthy Jr. of Lake Carmel enjoys his ride in the tower ladder with his 4-year-old son Aidan and Madison Hughes, 8, of Carmel. 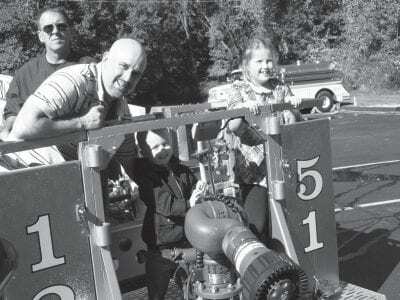 Former CFD Assistant Chief Patrick O’Brien is behind the controls. Flames shot high into the air! The Carmel … Please login below or purchase a subscription to the Putnam County Courier to access this content. Hudson Valley Federal Credit Union (HVFCU) is hosting a Meet & Greet event at its Carmel Branch, 1995 Route 6, on Saturday, October 16, from 9am to 11:45am. Enjoy refreshments, giveaways, and a chance to win a $500 travel gift certificate. There… Please login below or purchase a subscription to the Putnam County Courier to access this content.